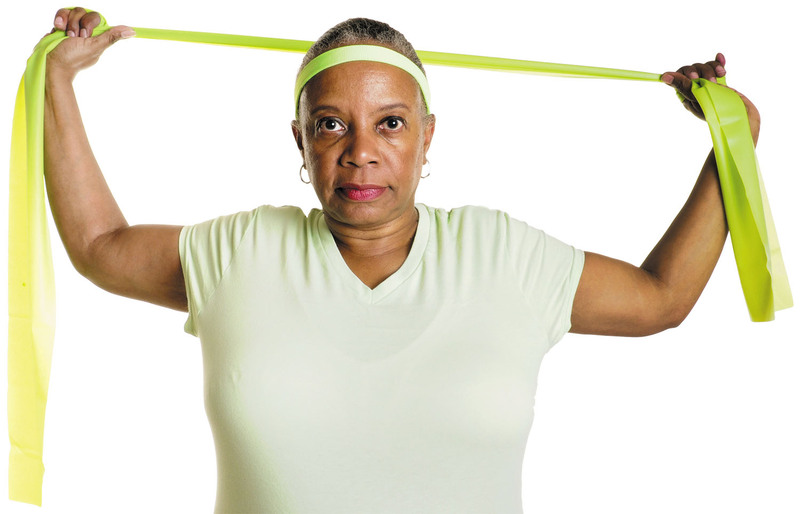 Using stretchy bands to build muscle can be an easy and effective way to burn more calories and boost your heart health. Most people know that brisk walking and other movement that gets your heart beating faster is great for your cardiovascular health. But even health-conscious folks often overlook another key fitness recommendation: doing muscle-strengthening exercises at least twice a week. Not crazy about the idea of going to a gym and hoisting heavy weights? There's no need to do so. You can work your muscles with stretchy bands (called resistance or exercise bands) at home. In fact, if you're out of shape or overweight, a simple resistance band workout can be a good way to ease into exercise, says Dr. Edward Phillips, assistant professor of physical medicine and rehabilitation at Harvard Medical School.